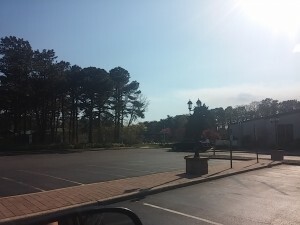 Lions Head South, an active adult community in Brick NJ. When you’re ready to either buy or sell a home in Lions Head South, contact us. Call Bunny and Art Reiman – the Active Adult Community Specialists. Lions Head South is an Active Adult 55 + Over 55 community in Brick, NJ. Because it’s located in northern Brick, close to the Garden State Parkway, it’s in a great spot. It’s close to shopping and dining, in addition to the beaches at the Jersey Shore. And Lions Head South is also close to marinas. There’s a homeowners association, therefore a monthly association fee. The association fee includes lawn care, snow removal, trash and recycling pickup. Also, there’s a one time fee for new residents to be paid to the association at time of closing. There are 615 single family homes in Lions Head South. All of the homes have 2 bedrooms with 2 baths and a 1 car garage. Generally, the homes range in size between 1223 and 1636 sq ft. and were built between 1983 and 1987. Many of the homes are still heated by electric, however recently gas lines were made available. Besides, some homes have already been converted from electric to gas. The clubhouse at Lions Head South is the social hub of the community. The amenities at the clubhouse include tennis, shuffleboard and bocce courts. There is also a heated outdoor pool. Another desirable feature is the golf course. The Department of Transportation Services county transit system, Ocean Ride, provides bus transportation throughout Ocean County. In fact, there are two major services. Provided are 12 local bus routes to shopping, other adult communities and more. Reserve-A-Ride provides door-to-door, non-emergency medical transportation service. This is available to seniors (age 60 and over) . You’ll need to make reservations in advance, additionally, a fee will be charged..